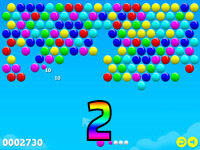 If you enjoy puzzles and exciting action, then Bubble Shooter is the game for you. 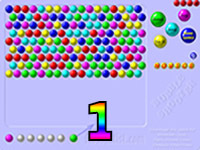 This is the original and first version of the game. It became successful fairly quickly and more games came out soon after. That is not to say the game is easy, however. This game is a great and exciting .It challenges the user to think strategically. 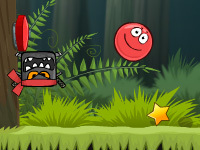 Bubble Shooter 1’s gameplay is simple, but fun and challenging. 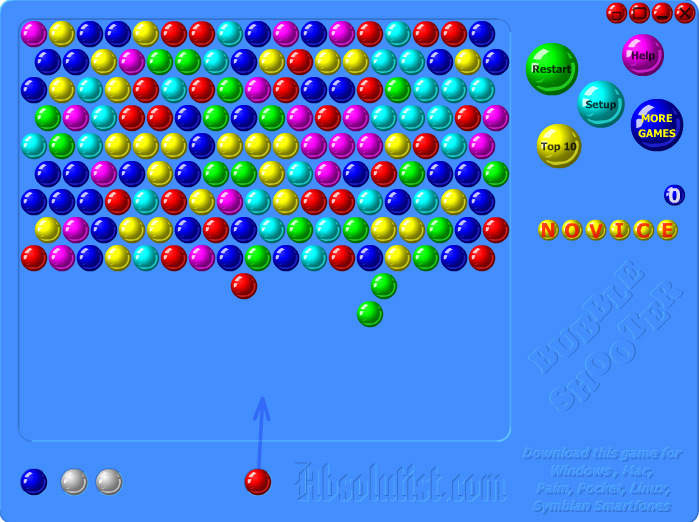 When you first start the game, you will notice a large board full of different colored bubbles. In addition, at the bottom of the screen you will notice a bubble sitting on a launcher. 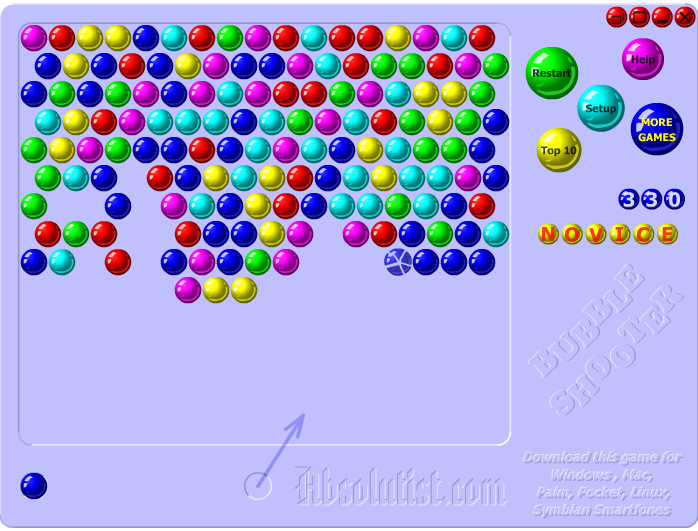 Your goal is to “pop” them all by hitting one of the same color of the bubble you are launching. When your bubble hits or creates a group of three or more, all of the bubbles of that color (as well as any of other colors that were hanging on) will pop. All the while, more rows are added to the top, meaning that you can lose if you are not fast or skilled enough! The game helps by showing an arrow that tells you exactly where you are aiming the launcher. All you have to do for controls is point and click with a mouse. The game gives you the ability to compete against your friends and family with a high score system. As you play and pop bubbles, you earn points. At the end of every game, you have the ability to type in your name to have it added to the high score list. With a high score system, parents and children can compete against each other in this exciting game. While playing the game, I discovered some useful strategies for tackling the challenge of clearing the board. First, always try to avoid covering clusters of like-colored bubbles. To specify, when playing, try to always keep room to play a like-colored bubble to pop them all! While I was playing, I was able to clear the board once, but it was very difficult. This, however, is the fun of this great game! The immense, almost insurmountable challenge makes the accomplishment of popping large clusters of bubbles or clearing the board that much more rewarding! 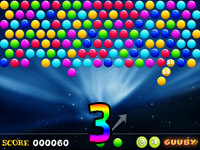 With the somewhat complex nature of Bubble Shooter 1, we suggest that parents try the game first before letting their children play. That way, parents are equipped to help their children play. This game contains no content that parents, should be concerned about, however, it is always important that parents are involved in their children’s internet activity.